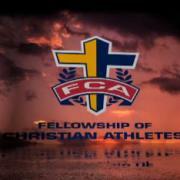 Coaches: At the heart of FCA are coaches. Our role is to minister to them by encouraging and equipping them to know and serve Christ. FCA ministers to coaches through Bible studies, staff contacts, prayer support, discipleship and mentoring, Behind the Bench (a program for coaches wives), resources, outreach events, national and local conventions, conferences and retreats. Campus: The Campus Ministry is initiated and led by student-athletes and coaches on junior high, high school and college campuses. The types of Campus Ministry include Huddles, Team Bible Studies, Coaches Bible Studies, and Chaplain Programs. There is no data in this table.